When you visit our Omaha, NE chiropractic clinic, you may be surprised to learn that acupuncture is on the list of available services -- and even more surprised to hear our chiropractors recommending it for you. But acupuncture's effectiveness as a healing modality is certainly nothing new, so it only makes that this ancient technique might complement our other holistic healing services nicely. Let's take a closer look at acupuncture's role here at West Omaha Chiropractic and Sports Injury Clinic. Acupuncture might be new to you, but it's been a cornerstone of Traditional Chinese Medicine for thousands of years. Those first practitioners believed that a person's life force, or chi, passed through the body along paths called meridians. Interruptions to this flow impaired the body's ability to perform its normal functions, producing pain and disease. If that sounds strikingly familiar as a concept, it's probably because Western medicine describes nerves and nerve signals in much the same way. Modern research indicates the acupuncture needles cause biochemical changes such as the production of natural painkillers called endorphins. The needles may also "adjust" the way nerve signals move along nerve pathways. This effect not only relieves neurological symptoms, but it also improves the body's overall internal communications. 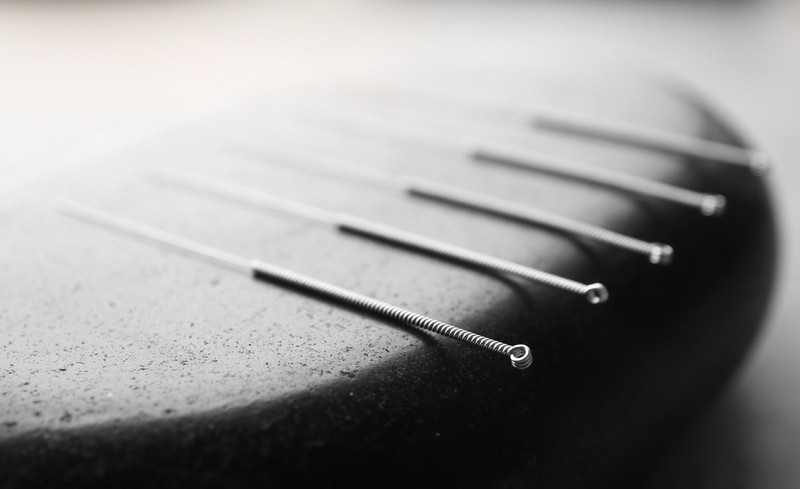 As you might imagine, acupuncture makes an ideal complement to chiropractic care, especially since chiropractic adjustments also aim to relieve pain and optimize nerve signaling. There are over 1,000 acupuncture points on the body, which gives us the opportunity to activate various combinations of points or address specific symptoms or conditions. Many of these conditions are musculoskeletal issues such as tendinitis, sprains, strains, arthritis and low back pain. But acupuncture can also help a wide variety of other problems -- from anxiety disorders, insomnia, headaches and migraines to digestive complaints, infertility, respiratory problems and poor immune function. Acupuncture is even a safe, effective method of pregnancy support, helping expectant mother overcome prenatal pain, nausea and other symptoms. All of these benefits make acupuncture a valuable ingredient in a larger holistic healing or pain management plan. Our chiropractor can customize such a plan to suit your specific needs. To give just one example, headache sufferers might benefit from a combination of cervical adjustments, massage therapy and acupuncture. If you've gone from surprised to intrigue by our use of acupuncture at West Omaha Chiropractic and Sports Injury Clinic, find out whether this ancient haling method might pack a modern-day punch for your specific condition. Call (402) 334-4700 today!